Stay competitive in today’s business world by creating customized Group Insurance And Benefits Plans for your employees or members. Group Insurance & Benefits Plans offer significant savings because of group purchasing power. So you and your employees or members get better discounts and more savings. Expert Advice : A ThinkInsure Group expert will assess your needs and together you’ll design a plan that is right for your company or association. Low Rates : We’ll shop, compare from one of our insurance partners to get you the lowest rates. Flexible Plans : No matter your size or type of business, we can create flexible a plan tailored for your needs. Promotional Support For Your Plan : ThinkInsure will help you educate employees and promote your plan within your company or organization. Superior Customer Service : Each ThinkInsure customer gets a dedicated team for service to help with claims, plan administration, questions or any other insurance needs. Speak to a ThinkInsure Group Insurance expert to learn more about how we can help with your needs. Call toll-free 1-844-900-2772 or request a quote online and we'll be happy to help you! Remain Competitive In The Job Market : Top prospective candidates expect a group benefit plan and sometimes prefer it to a higher salary. Offering a group plan could be the difference maker when trying to hire the best talent available in your industry. Attract & Retain High-performing Candidates : Your job benefits offering can be the difference between a candidate accepting your job offer or not. It could also play a role in keeping employees long term. Improve Your Employees’ Productivity : A survey by the APA confirms that “feeling valued in your workplace is key indicator of job performance”. Offering group benefits and promoting health and work-life balance helps to create a happy and productive work environment. Enjoy Tax Efficiencies : As an employer you can save on payroll taxes when you offer group insurance benefits with a lower salary. Retain Healthier Employees : Employees are more likely to get treatments for health issues not covered by OHIP. This can benefit your company by lowering absenteeism and sick days. 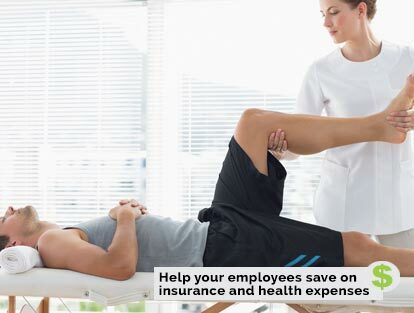 Your employees will enjoy improved quality of life with group insurance and benefits plans. A robust plan reduces worry and anxiety and helps them to focus on their work, knowing that they and their family have access to high quality health care. Increased Insurance Savings : Enjoy lower insurance rates with the purchasing power of a group. They can save on home, auto, health, dental, and life insurance coverage. Extended Benefits Coverage : Get extended coverage for dental, health, vision, pharmacy and more. Unbiased Insurance Advice : Sometimes it’s hard to understand all the choices available. Your employees can get advice from a ThinkInsure broker and choose a customized group plan that is ideal for them and their family. Convenient Payment Options : Employees can select from a number of payment options, offering them financial flexibility. Service & Claims Support : Employees will have access to fast, courteous support when and where they need it for claims, coverage questions and much more. We can create customized plans that are tailored specifically for your business needs. We also have standard plans for you to choose from. We work with you to create & design the plan based on company needs and budget – providing you with maximum flexibility. We explain all the different types of coverage and costs to ensure you are 100% clear on the group insurance package you are choosing. Coverage options can depend on the type of company you operate (office, manufacturing, small business). There can be different groups within the plan (management, workforce). Rates vary based on a group’s needs, associated risk, and other factors. We get the plan finalized, and we shop it with our insurance partners to get you the best possible rates. Group home and auto insurance plans provide better rates than individual insurance plans because of the purchasing power of the members of the group. The risks associated with group coverage are generally less than the risks for an individual, which usually means fewer claims for insurance companies. These and other factors translate into lower insurance rates your employees or members. Home Insurance : We offer your employees the same high quality home insurance coverage but at better rates, including condo, tenant and rental insurance. Auto Insurance : With the high cost of auto insurance rates, every penny saved helps. Our group car insurance plans will help you provide your employees with the best auto insurance rates available. With ThinkInsure, we can help get you the best group insurance plan and coverage for your needs. Get lower rates on your auto & home insurance with a group plan. A well-put together benefit plan makes your company or association stand out from your competition. You’ll build employee loyalty, increase engagement and morale, boost productivity, and become a desirable workplace and a company where people want to work. Pharmacy & Drug Benefits : To ensure and enhance your employees’ health. 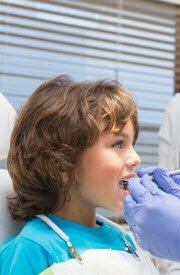 Dental Benefits : One of the most desirable benefits, your employees will be covered for many dental expenses. Extended Health Services : Government health insurance does not cover many of those ‘typical’ health care services like eye exams (for people over 18), massage therapy, chiropractic care and physiotherapy. Your benefits plan has you covered here. Ensuring your family is taken care of in case of accidental or sudden death is important. Life insurance coverage protects families from loss of income if an employee dies. Having this form of group insurance available gives your employees the peace of mind in knowing their family will be taken care of if something happens to them. Our plans offer a wide range of life insurance coverage amounts, ensuring that employees can choose a plan that makes sense for them financially. We offer various benefit levels, allow members to add extra coverage, and employees can pay through payroll deduction. With ThinkInsure, we offer flexible group life insurance plans and coverage that make sense for your company needs at affordable rates. Group disability plans offer your employees the financial support they need when they become injured. Whether they are unable to work short term or long term, having the peace of mind in knowing their finances are taken care of while they are recuperating is reassuring, and offering this group insurance option is a sign of a company that cares for its employees. With ThinkInsure, you get access to flexible group disability plans for all types of businesses, ensuring your employees can get the assistance they need while they are away from work, recovering, and returning to work. Group Plans are significant financial commitments you make to your organization, your employees and management team. There are many factors you need to take into account – your business goals, your company size, your industry and your employee’s needs. ThinkInsure is committed to offering professional, unbiased advice. We’ll provide customer and administrative support. And we’ll provide this and more at the best rates for the best plan for your company. Want to get started? 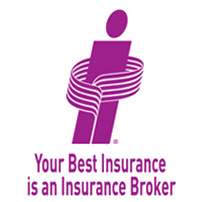 Speak to group insurance expert today - 1-844-900-2772. You can also request a quote online.